This month's UK Birchbox was called 'Word Up!' and the box had a wordsearch design on it. I got mine in blue but there was also orange - which I was hoping for - and pink! The blue is pretty but not as bright as the others. This edition is all about ultimate beauty discovery hence the searching theme. 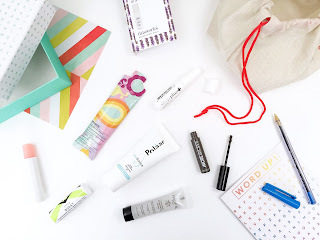 I think it's a clever take on what Birchbox stands for. I love being introduced to high street and high end products, that I wouldn't usually have, each month. Plus it feels like a little present each month! This product looks so pretty. I loved the design on the sample and thought it was so gorgeous, I had to try it immediately. 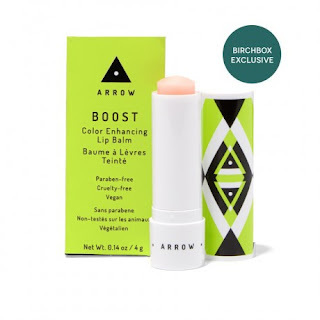 ARROW is Birchbox's second brand of product after LOC (Love of Colour). Specialising in lightweight, long-wearing make-up and refreshing skin care, ARROW is designed to keep up with your on-the-go, active life. Each breathable product creates a fresh, natural, beautiful effect. This first product is the Lip Balm. Described as a high-tech, moisturising lip balm, I was slightly disappointed in this. When it initially goes on it doesn't feel very moisturising at all. The colour is designed to adjust to your unique pH so everyone's is different which I thought was a nice idea; for me, there isn't much of a colour and it just exaggerate my natural colour. The colour was timid if anything. Having said that, after an hour or so, you can defintely see the wear on it as the central colour has worn away. One thing I really didn't like was the minty smell and tingly feel after initially putting it on. Again, not really a fan of moisturizers just because I only use it on my face, and I'm really happy with the one I have (Olay). 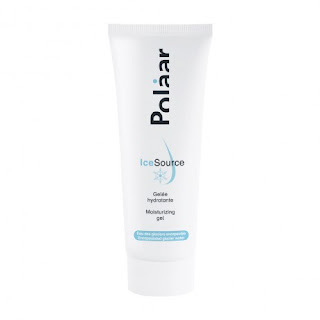 I did however use this on my hands and I wouldn't say it's super moisturizing but it's defintely cooling and non-greasy. 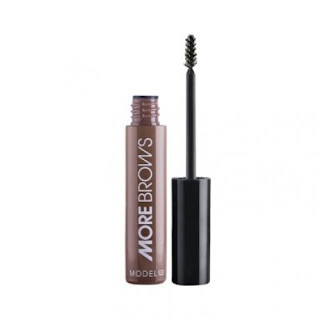 I don't do anything with my eyebrows so this product isn't really for me! I don't wax or tweeze or thread and I defintely don't draw them on. I kind of leave them alone and let them do their own thing. I think they were probably too bushy for this product because it seemed to clump a lot and unfortunately it was the wrong colour for me. I was so excited when I got this. 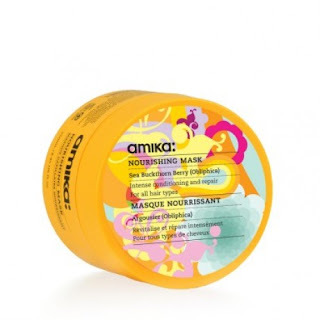 I love trying hair products because I'm always looking for the perfect one to de-frizz my hair. My hair is naturally straight but it's so incredibly frizzy and I have so many flyaways, especially at my roots. If I ever do straighten, it's to help reduce the static. Unfortunately this product didn't give me the desired effect. In fact I don't think it did anything. At all. I loved this product! You have no idea how sceptical I was of this when I first saw it. I was thinking there is no way anything like a spray would help put me to sleep. I have been having a lot of trouble sleeping recently and haven't managed to find anything. But this seems to work! With just one spray on either side of my pillow, I wouldn't say it puts me to sleep but it defintely relaxes me and relaxes my mind which HELPS me fall asleep. The smell is relaxing and calming. The only negative is that the sample size is so small! For once, I am repurchasing!